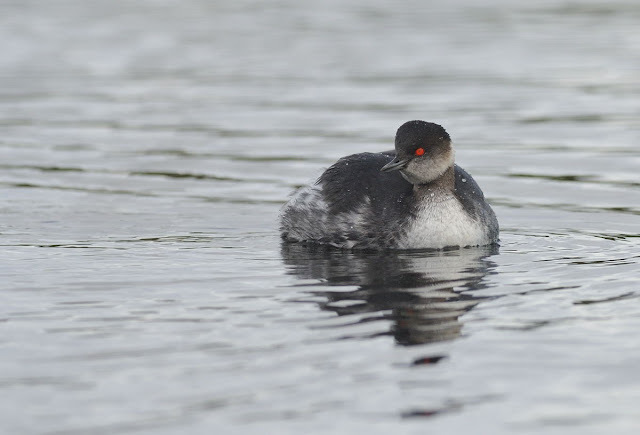 The Black-necked Grebe has been present at Drift Reservoir for the last month and seems content to spend its' winter in the west arm of the dam, often allowing close approach. This bird seemed more curious than shy at a cosy ten yards distance and allowed some relaxed photography. 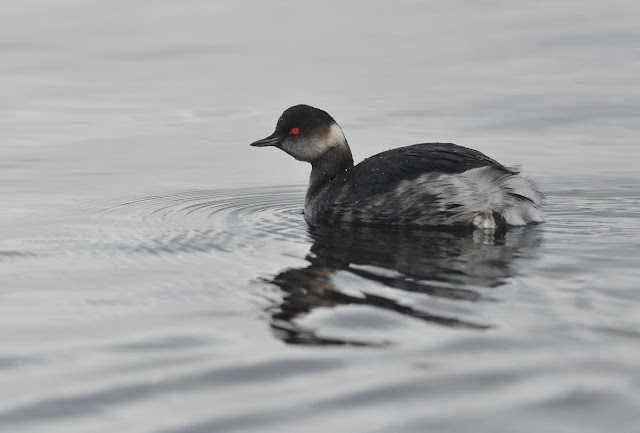 Black-necks are regular winter visitors to Cornwall with the preferred wintering population location being Carrick Roads. Flocks of 50 plus have been recorded here in the past, but this year no more than a couple handfuls. The River Fal complex is indeed an important UK site and holds one the more dense wintering populations. In recent years, the Newlyn area has attracted a couple individuals and it's conceivable that this Drift bird may be one of those returning to the area. 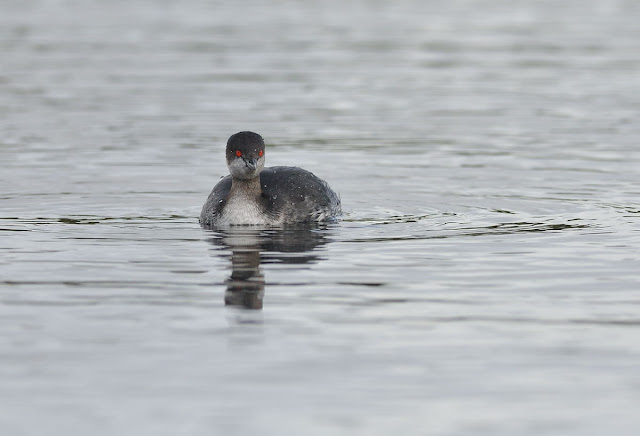 Elsewhere in Cornwall, Black-necked Grebe is fairly scarce. These shots were taken with the 300mm F/2.8 and 1.4x Teleconverter, tripod mounted. Aperture F/5.6. Shutter 1/1600s. Exposure: Centre weighted +0.3EV. White Balance cloudy. ISO250. Focal length 420mm. Cracking Images Steve,nice to see you back at the controls. To view a bird like this so close was special. Usually you are lookig at a black dot a mile away. Great set of pics Steve. Had a go with the two times and it works well.